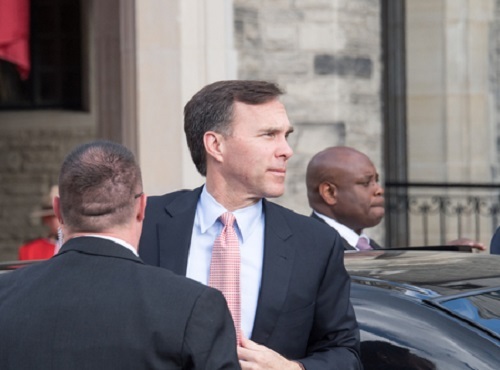 Finance Minister Bill Morneau will be invited to the next Standing Committee on Finance meeting to discuss the Canadian Residential Real Estate Market, following a suggestion that he should answer questions directly about the most recent mortgage rule changes. Albas made the suggestion during the four hour Committee meeting that focused solely on discussion around the housing industry and the impact of the recent mortgage rule changes. The meeting drew representatives from Mortgage Professionals Canada, the Canadian Mortgage Brokers Association, as well as broker networks. Committee Chair Wayne Easter told Albas a motion was required to request an invite to Finance Minister Bill Morneau. Francesco Sorbara, Liberal MP for Vaughan, Woodbrige, Ontario, argued hearing from CMHC and the Department of Finance was sufficient. “Having the minister here is just not necessary,” he said. The motion was put forth and MPs voted in favour. With the motion carried, the Finance Minister will be extended an invite to the next meeting. Whether or not he accepts the invite remains to be seen. according to the Immigration, Refugees and Citizenship Canada's own website - the overall target for new permanent residents in 2017 is 300,000. adding in 300,000 for 2016 - that's 600,000 people coming to Canada that are going to require housing. Many of these folks are going to want to BUY housing. If not, then at the very least renting. Yet our Federal Gov't (the very same one that sets immigration targets) turns around and makes it more difficult to obtain a mortgage for a primary residence - and vastly more difficult to obtain a mortgage for a rental property. In fact several lenders as we know have eliminated rental property mortgages from their menu of products altogether. So yes - I would think the Federal Minister RESPONSIBLE for the decisions should be there to answer questions. They should also ask OSFI to participate. An excellent debate could commence regarding how the Ministry of Finance can justify the $372 million "repayable" loan to Bombardier under OSFI's new guidelines concerning 'prudent' lending practices, especially given the fact that our federal government has advanced $1.57 billion (inflation adjusted) dollars to Bombardier since 1961. I wonder what the current "repayment" schedule looks like. Why don't you invite Hilliard Macbeth, Toss Kay, Garth Turner and Steve Saretsky to your gab-fest?